I had had no luck getting close to male Northern Shovelers in my first 10 years of bird photography, but I finally found some cooperative ones at Anahuac NWR. Those Shovelers and some other opportunities, plus perfect weather and sun, made for a great day. 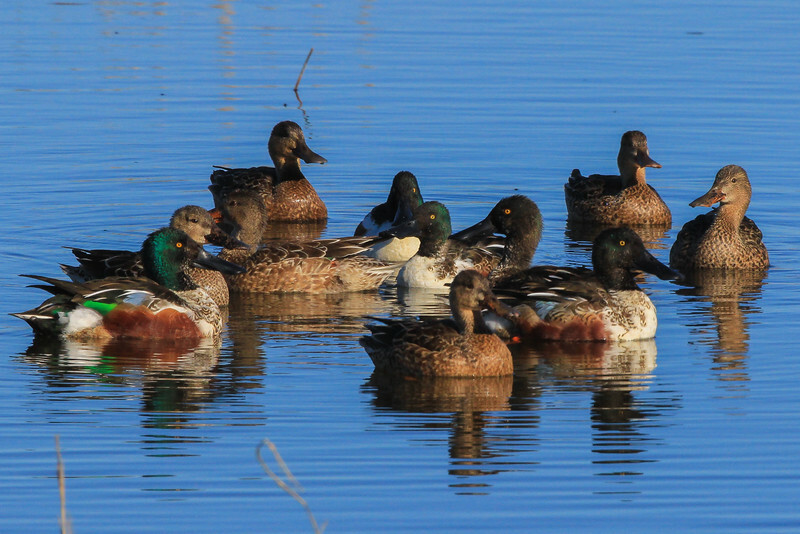 A group of Northern Shovelers on water is called a brace, but not often! Taken on the third leg of Shoveler Pond Road.